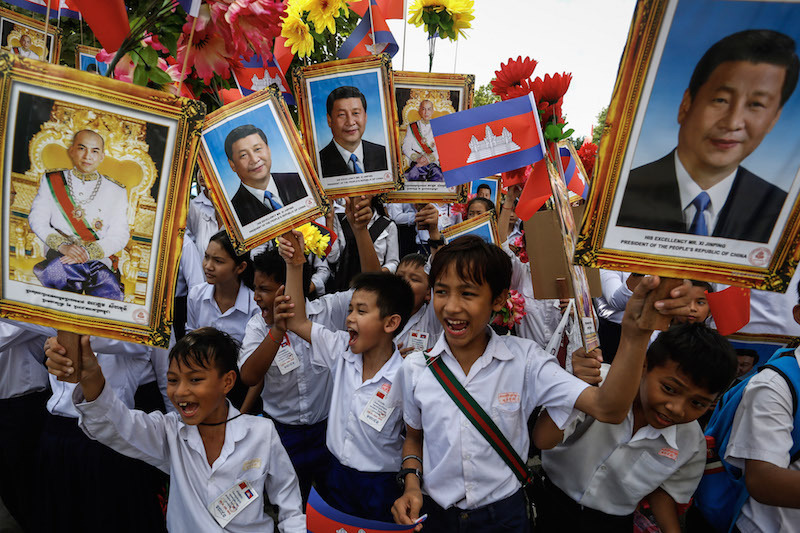 Cambodia’s relationship with China is at an all-time high, officials said on Wednesday, as authorities braced for the arrival of the country’s premier Xi Jinping today with the deployment of some 7,000 security personnel. During a meeting between China’s new ambassador to Cambodia, Xiong Bo, and National Assembly President Heng Samrin, the pair noted that the country’s relationship with its largest donor had deepened with time, according to Mr. Samrin’s cabinet chief Keo Piseth. “Leaders of both countries have worked to build the relationship, which has approached a high point we have never seen before,” Mr. Piseth said. Mr. Samrin “requested that the new Chinese ambassador continue to cooperate more closely with ministries and institutes of Cambodia to do whatever it takes to ensure the success of the joint goals of both countries,” according to Mr. Piseth. Beijing has bestowed on Phnom Penh copious aid in recent years, including more than half a billion dollars in grants in July. In return, many analysts and some diplomats say that Prime Minister Hun Sen has stymied Asean unity against China’s South China Sea claims. The government’s desire to make a good impression on President Xi’s first visit to the country as head of state could be seen along the capital’s streets, as workers hung Chinese flags, draped banners praising the Chinese government and erected large displays of both country’s landmarks. National Police spokesman Kirth Chantharith said that Mr. Xi is slated to arrive at Phnom Penh International Airport at noon today. 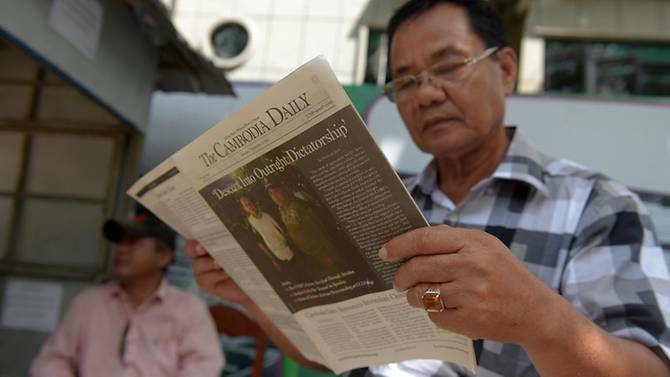 “I just know that he will go to the Royal Palace and then after will meet with Samdech Prime Minister [Hun Sen],” General Chantharith said. Some 7,000 security forces will be deployed across the capital, according to Gen. Chantharith, and several of the city’s main roads will be briefly closed to allow the visiting dignitaries uncongested travel. Mr. Xi is planning to stay at the InterContinental hotel in Phnom Penh tonight, and is set to fly to Bangladesh on Friday morning.